“FlatFace is proud to introduce the latest in fingerboard wheel technology, ceramic bearing wheels! We hope you enjoy our newest development and the next step towards realism in fingerboarding. Limited edition, and these aren’t for everyone, just offering something for those who like the little extra attention to detail and want to try something unique. I’ve been using these on a couple of my main setups and I really like them a lot, too. Enjoy. 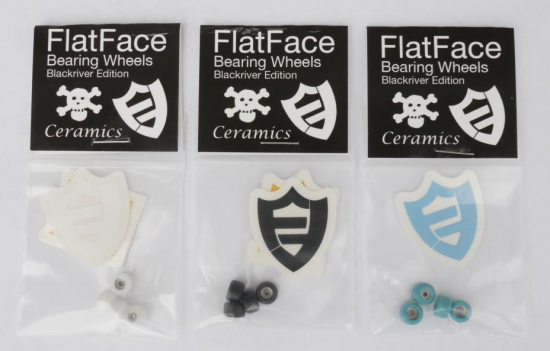 Buy them right here on Flatface: Click!